Volume 5 of the “Excavations at Knowth” series presents the findings relating to the use of the site from the Late Iron Age to the modern era. The huge array of finds excavated at Knowth associated with the period under consideration are presented, with an accompanying CD-ROM cataloguing the un-illustrated finds. A series of appendices deals with such topics as the metal content of a selection of the Roman, Viking, and Early Christian artefacts from Knowth, and the findings of a geophysical survey conducted on one area of the site in late 2011, among others. From Medievalists.net: Knowth, Ireland, is the site of one the country’s most important archaeological sites: from a large neolithic grave mound to medieval and post-medieval settlements, this place offers a huge amount of evidence on Irish history. 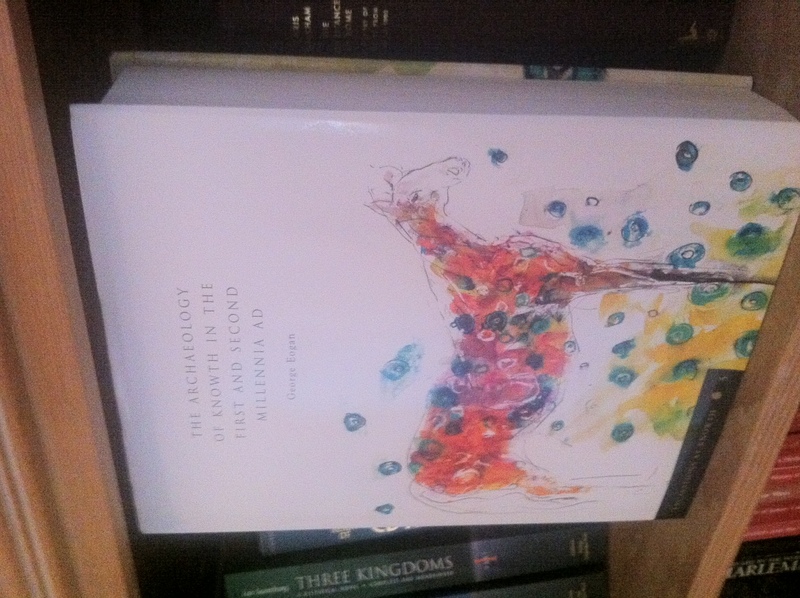 Indepth archaeological research by George Eogan began in 1962, and this book is part of a series of publications that explains what has been found and learned at Knowth. At over 900 pages, this book is quite large and very detailed. The first several chapters provide an overview of what we know from each of the periods going up to the twentieth century, while the bulk of the book details the various objects found, ranging from musical instruments to horseshoes and Viking-Age tweezers. It offers a stunning amount of data about the daily life of this area over a wide period of time. The book also comes with a CD that offers some additional finds. The book is aimed at researchers and scholars, and will be more likely found at an academic library than the casual reader’s bookshelf. For those interested in the archaeological heritage of Ireland, this volume will be a valuable resource.